This is quite an informal, upbeat celebration. It includes modern worship songs as well as more traditional hymns, a teaching message (sermon) and various other items. 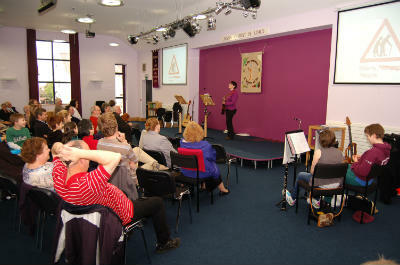 Sunday Club (Sunday school) is included during the service. Everyone is very, very welcome.